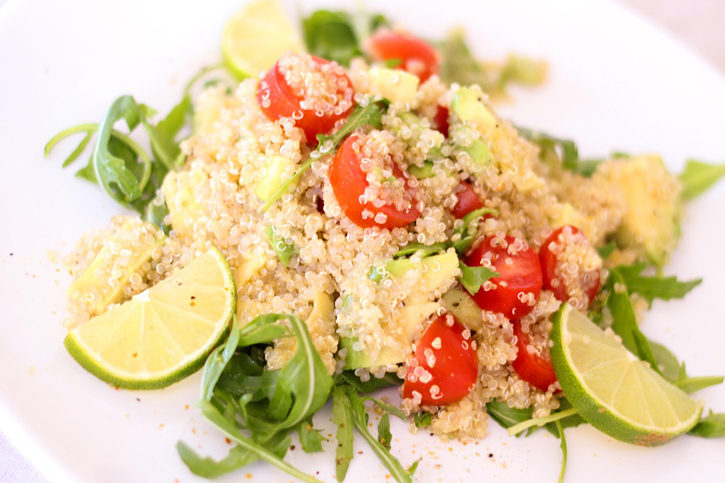 Home Diet & Fitness Is Quinoa Really Good for You? Is Quinoa Really Good for You? Considering its nutritional value, there’s a reason quinoa is gaining popularity so fast. Quinoa is a whole food whose health benefits supersede common grains such as brown rice and wheat. A cup (6.5 oz.) of cooked quinoa packs 222 calories, 0.3 oz. of proteins, and 0.17 oz. of fiber. On top of that, it’s gluten-free and offers an array of other essential vitamins and minerals such as iron, zinc, and potassium to name a few. 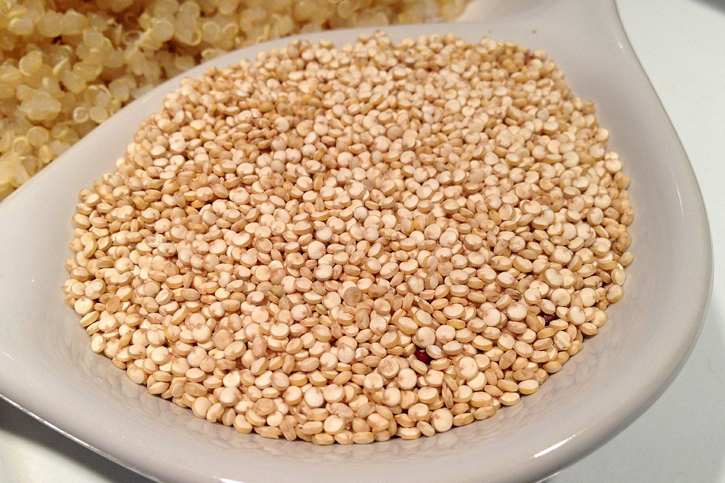 Classified as a pseudo-cereal rather than a cereal grain, quinoa is grown for its seeds. In other words, its preparation method and consumption is like that of other grains. It’s a versatile food that can replace rice for dinner, oatmeal for breakfast or even served as pudding for dessert. So, with all the hype surrounding the over 5,000-year-old plant, why is quinoa good for you? Does quinoa aid in weight loss? This is a common question that pops up frequently. Quinoa has high-quality protein and dietary fiber which will make you feel ‘fuller’ for longer. Taking a meal containing quinoa means you’re less likely to crave unhealthy foods or snacks. The dietary fiber in quinoa influences your body to absorb less cholesterol and fat. Compared to the 0.15 oz. of protein per cup that brown rice contains, the 0.3 oz. of protein in quinoa will require more energy to break it down. This improves metabolism. Incorporating quinoa into your diet helps burn more calories which comes in handy in your gym workouts. Did you know that vitamins delay aging? Vitamin B2 improves skin elasticity and can even treat skin conditions such as acne. Quinoa is loaded with vitamins such as B-Vitamins, Vitamin A, Vitamin B12 and Vitamin E which is rare these days, thanks to processed foods. Quinoa is also rich in magnesium which helps to alleviate migraines, insomnia, and stress. Other minerals include potassium, calcium, and phosphorus. It’s also worth mentioning that, these minerals help keep your hair strong and free of dandruff. Every cell in our body needs protein for growth, organ repair and muscles among other important factors. As the only food plant that’s a complete protein, quinoa delivers all the nine essential amino acids. A serving of 3.5 oz. of quinoa contains up to 0.5 oz. of proteins. One interesting fact is that it contains isoleucine and lysine acids which are lacking in most grains. These compounds fight inflammation and are also known to have antidepressant properties. Needless to say, cancer is a leading cause of death in our society today. The good news is that quinoa packs kaempferol and quercetin. These are two powerful antioxidants that lower the risk of cancer and cardiac-related problems. Specifically, quinoa contains manganese which protects the red blood cells from injury by free radicals and other cancer-causing substances. With about 0.10 oz. of iron per cup, regular Quinoa intake will keep chronic conditions such as anemia, diabetes and hypertension at bay. It contains a large amount of iron which is responsible for hemoglobin formation. Iron transports oxygen from one cell to another which improves muscle contraction as well as keeps our brains alert. Quinoa also contains riboflavin whose deficiency can cause anemia and migraines among other health conditions. In addition to that, quinoa is a whole grain. The high fiber content doesn’t raise blood sugar levels making it ideal for diabetics. Studies show that quinoa contains complex carbohydrates. This type of carbohydrates breaks down slowly leading to a much stable blood sugar level. Why is Quinoa Gaining So Much Popularity? Poor health conditions are blamed on processed foods. With people becoming more health conscious, the nutritional profile of quinoa makes it a great source of proteins, minerals, and vitamins. Basically, anyone who seeks a healthy living without having to sacrifice on nutrients. Which Color of Quinoa is Healthiest? Quinoa comes in a variety of colors, the main ones being white, red and black. The white variety is more common in stores. 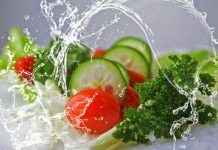 There is really no significant difference in terms of nutrients and cooking time, although the white quinoa cooks in about 10-15 minutes compared to 20-25 minutes for the other varieties. In terms of appearance, the red quinoa takes the lead. This is because the red color stands out in dressings and salads. The white quinoa is less crunchy and packs more vitamins and minerals than the red one. All in all, the choice of quinoa color boils down to personal preferences and recipes. Surprisingly, the leaves and flowers of quinoa are also edible – eaten as vegetables or in salads and soups. On the other hand, the seeds can prepare flakes, porridge, biscuits, pasta and even alcohol. The health benefits you could get from these nutritious seeds point to one thing. Quinoa is good for your health.